Saturday, January 13, 2018 – 2:00 P.M.
Glen Junior Browning, age 61, of Somerset, Kentucky, formerly of West Virginia, passed from this life on Tuesday, January 9, 2018 at the Lake Cumberland Regional Hospital after an extended illness. Glen was a Retired Maintenance Worker with Maria Joseph’s Nursing and Rehabilitation Center of Dayton, Ohio. He was of the Christian Faith and was a kind and generous man who “Loved others with a love that was unimaginable”. He enjoyed fishing, hunting, and “Junking” as well as playing the guitar and spending time with his family and friends. He will be greatly missed by those who knew and loved him. Besides his parents, he is preceded in death by a brother; Robert Browning and a sister; Evelyn Holstein. He leaves behind to cherish his memories; his wife Loretta Edwards Browning of Somerset, his Sons; Christopher (Christy) Enderle of Georgetown, Kentucky, Ricky Browning of Fayetteville, North Carolina, and Joshua (Jessica) Hubbard of Somerset, his daughters; Stephanie (Darrell) Hatton of Dayton, Ohio, Melissa Wells of Miamisburg, Ohio, Crystal Hubbard, Angela Hubbard, and Tabitha (Frank) Williamson all of Somerset, Kentucky, Brothers; Alvin “Slick” (Evonda) Browning of Bald Knob, West Virginia and Mack Browning of James Creek, West Virginia, Sisters; Mary Ellen (Jerry) Cole of Fairdale, West Virginia, Sandy (Mike) Slack of Gallipolis, Ohio and Shirley (Fred) Charles of Tampa, Florida, seventeen Grandchildren and one great-Grandchild “on the way”. Brothers in law; Larry Edwards of Mt. Vernon, Indiana, Johnny (Brenda Sue) Edwards of Seymour, Indiana, Jerry (Mariah) Edwards, Barbourville, Kentucky, Steven Edwards of Barbourville, Kentucky, Sisters in law; LeeEtta Eversole of Lily, Kentucky, Eva Edwards of Girdler, Kentucky and Patricia (Phillp) Rice of Barbourville, Kentucky. As well as a host of Nieces, Nephews, Cousins, other relatives and friends. 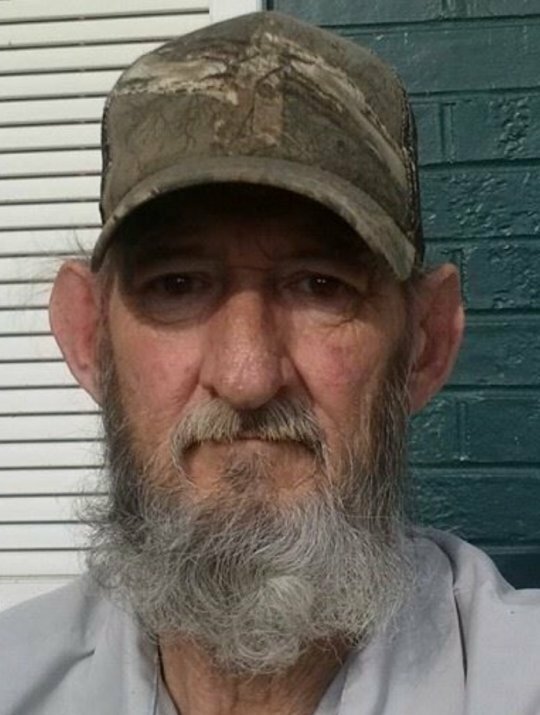 Visitation will be from 6:00 p.m. until 8:00 p.m. on Friday, January 12, 2018 in the Chapel of Southern Oaks Funeral Home and on Saturday, January 13, 2018 from 12:00 Noon until 2:00 p.m. at the Bald Knob Methodist Church in Bald Knob, West Virginia. Funeral Services will be at 2:00 p.m at the Bald Knob Methodist Church with his brother, Rev. Alvin Browning officiating. Burial will be in the Jasper Workman Cemetery in Bald Knob, West Virginia. Southern Oaks Funeral Home is entrusted with the local Arrangements. Handley Funeral Home of Danville, West Virginia is in charge of the Bald Knob area arrangements.